Must See Absolutely Stunning, First floor master suite with a Jacuzzi tub, gorgeous stand up shower, walk in closets throughout. Great room with a dual fireplace to view beautiful kitchen. Two story with a large foyer, Custom Dining room. Huge room upstairs office/ library. 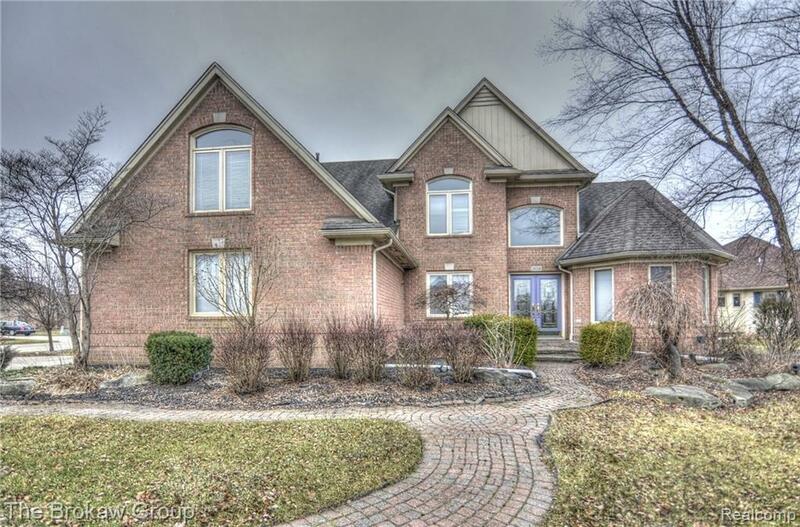 Professionally finished basement includes second kitchen or bar, Full bathroom, bedroom, gorgeous huge room for entertaining. Brick patio, 3 over sized car garage, most of the exterior is brick on a corner lot..... This house has it ALL, move in ready. This one will not last!